I really wanted to take Howard, Marie's father, down the coast to Tillamook but the weather did not permit. 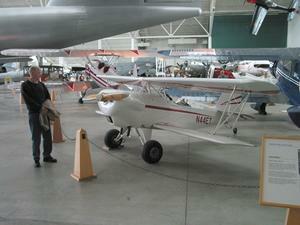 Instead I decided to to to McMinnville and the Evergreen Air Museum there. As it was, we had to wait several hours in the morning for clouds to lift allowing VFR flight down I-5 corridor, past Portland and on to McMinnville. 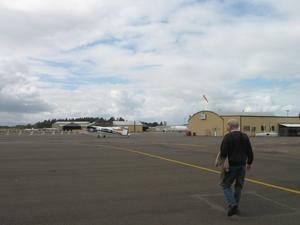 At 10:30 the briefer said the worst weather was right around is at Boeing field. It was good enough for me so we were off. The clouds were a bit lower than expected but we were generally able to cruise at 1,500ft. This was the furthest away from Seattle that I've flown. Previously I've been down to Kelso. 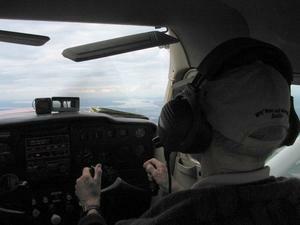 Even with the marginal weather I was comfortable flying to there because I knew what was around and ahead. Once past Kelso it was all new territory and I found myself more apprehensive. Knowing a route makes it easier to fly it. Howard knows a lot more about aviation history than I do. He grew up in Davis, southern California. One summer he worked on a fire crew for a man who ferried his crew around in small airplanes. He took a couple flight lessons in a Aero Coup (aka Euro Coup I believe) but quickly realized that he could not afford it. This when planes were renting at $6.00/hour. 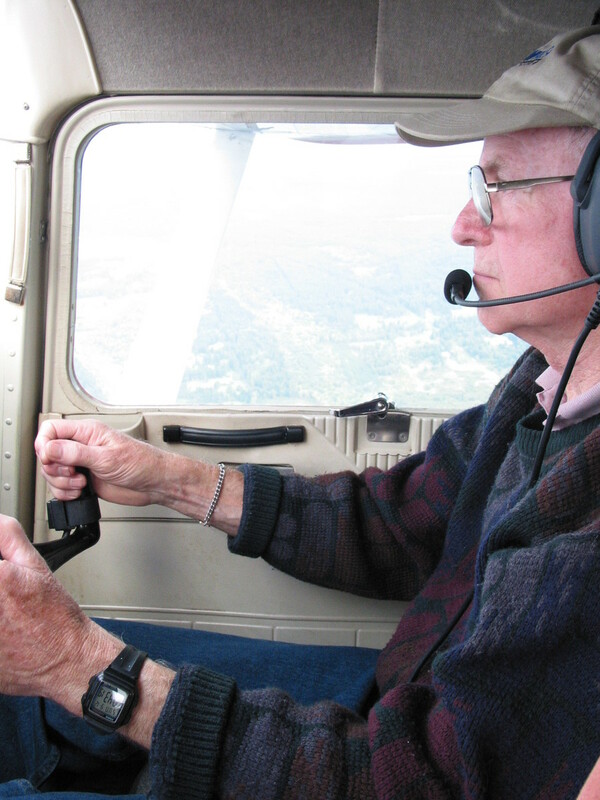 In the early 50's he moved to Seattle and quickly got a job working at Boeing in the machine shop. 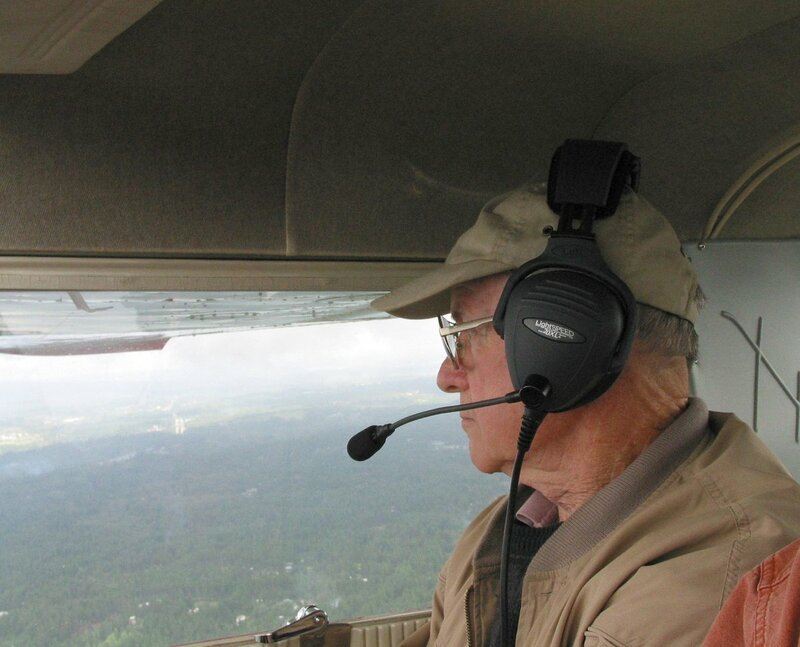 He spent a lot of time making wing splices for the B-52. Boeing originally contracted these out but the suppliers could not provide a consistent supply so Boeing brought production back in-house. 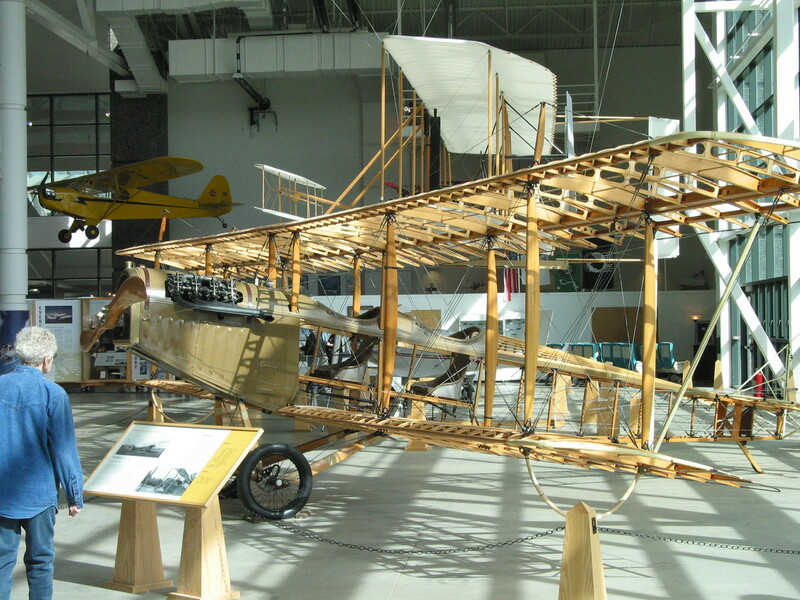 Howard said that he thinks the engineers were very anxious about being able to build enough splice fittings to construct airplanes but that none of this bothered him, he was very happy to be working in the machine shop building things. Heading to Museum. The FBO called a free shuttle for us. Baby Great Lakes. Enjoying the responsiveness of the C-150s I'm interested in small planes and they don't get much smaller than this. A Steerman. I've hear a lot about these. What most impressed me was that with a 450HP engine it still only had a top speed of about 150 knots. 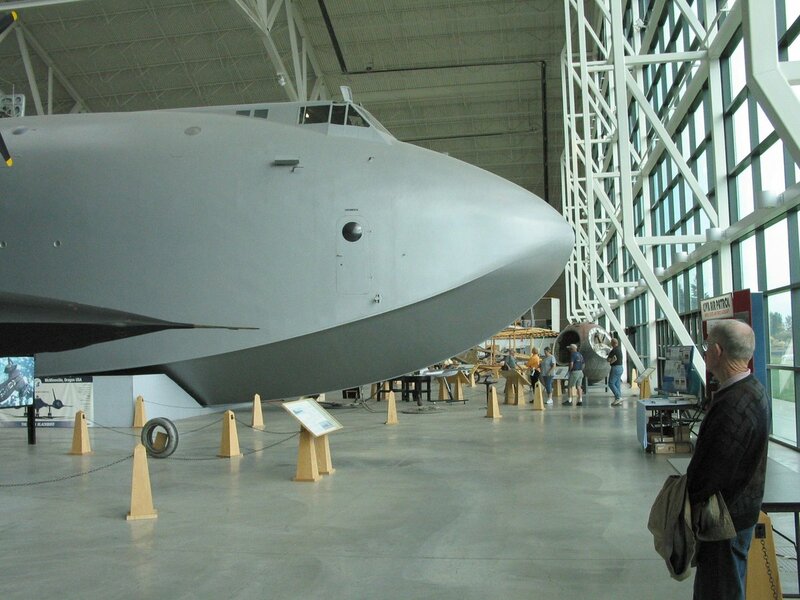 The nose of the Spruce Goose. The museum has many docents, mostly older men. I think that most of these men either flew in or worked on the historic airplanes in the exhibit. 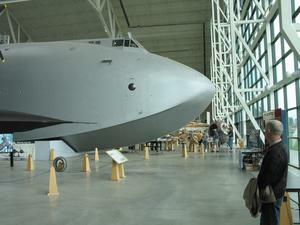 The Spruce Goose dominates the collection. It is hard to appreciate just how large this airplane is. The building must have been designed around the Spruce Goose. It pretty much fills the museum from nose to tail and wing tip to wing tip. Underneath and around it there is space for about 20 other airplanes and not all of these are small airplanes. One is the Blackbird, which when I saw it in the Seattle Museum seemed huge. Here it nestles under the wing of the Goose. 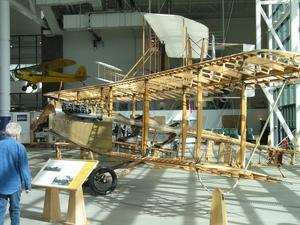 A Curtis Jenny with most of the airframe exposed. 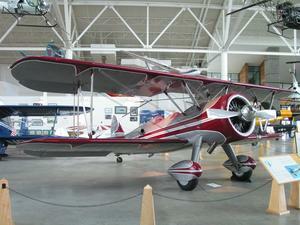 A CD-3. 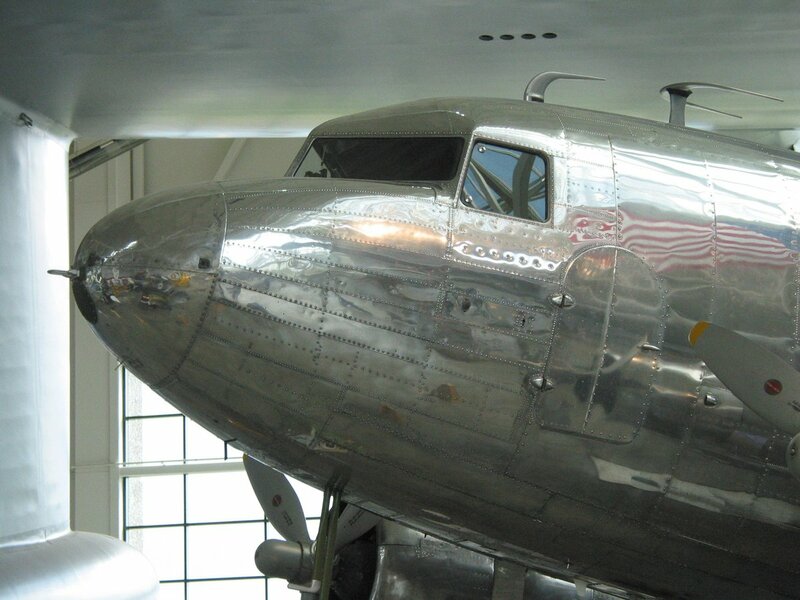 These were before my time, but something about the shape of the nose still epitomizes how a working airplane should look. At 3:30 we had seen enough airplanes and got the shuttle back to the airport. 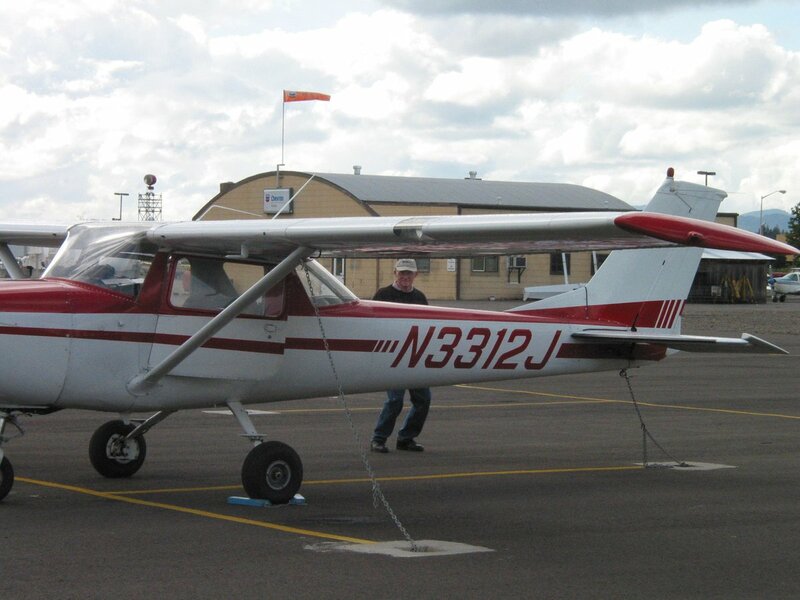 I called the McMinnville flight service. When I mentioned that I was at the airport they chided me for not stopping by for a in-person briefing. I've always called the FSS and have been told that since 9/11 it is difficult to get access to the buildings. They were very friendly and showed me their briefing stations. It is somewhat old technology, but they can bring up the useful information quickly with a button press. 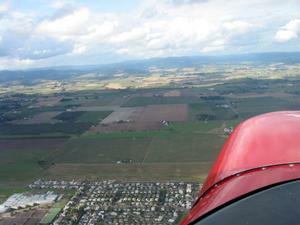 The route looked good except for a 1,500 ft layer at Toledo, half way up the I-5 corridor. 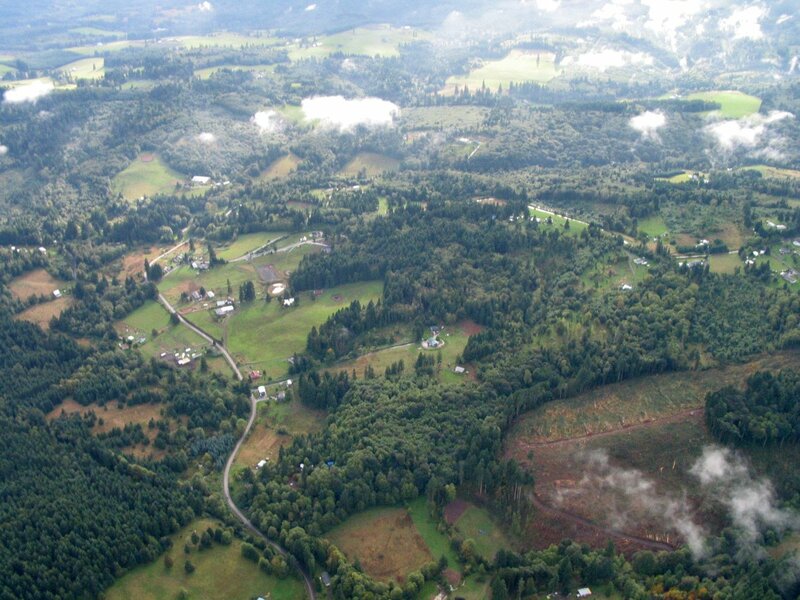 From McMinnville to the Columbia we passed over some beautiful farmland. Looking west I could see across the coast range where it looked partially clear. At one place I spotted a plane very low over the tree tops. I couldn't figure out what it was doing so low. It flew a couple hundred feet over some buildings. Perhaps an ultra-light? Then it lined up and landed on a grass strip fringed by gliders. It was a glider on approach for landing. This really amazed me: it traveled so far loosing so little altitude. Howard back at the plane. North of McMinnville some beautiful farm land. Nearing the Columbia it is more hilly. 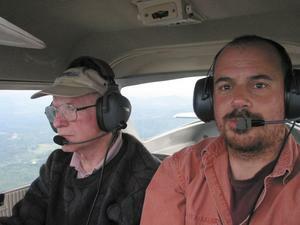 From Toledo up to Puget Sound I let Howard fly the plane.